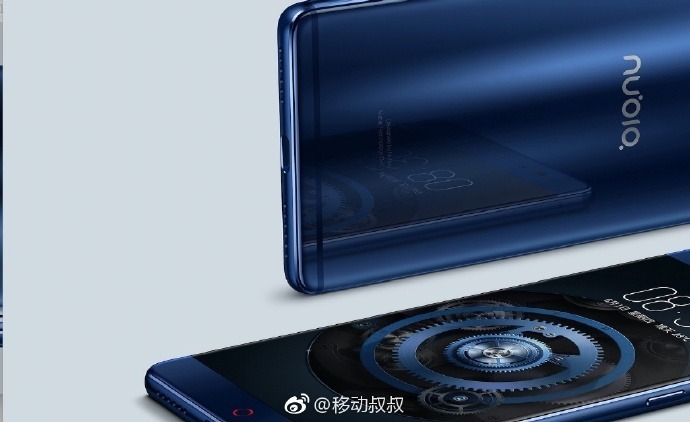 A month back, a mysterious Nubia smartphone with model number NX563J was spotted on Benchmarking websites that revealed a device powered by the Snapdragon 835 processor. Later on, rumors and leaks suggested that it is the Nubia Z17 that is the flagship for this year by the company. 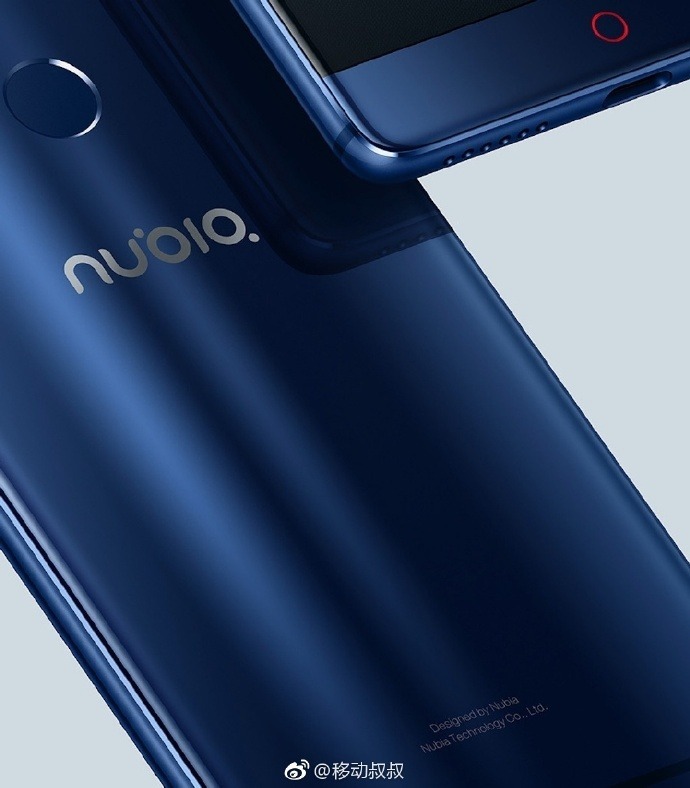 Today, we finally have the official Press Renders of the device that reveal the design of Nubia Z17. 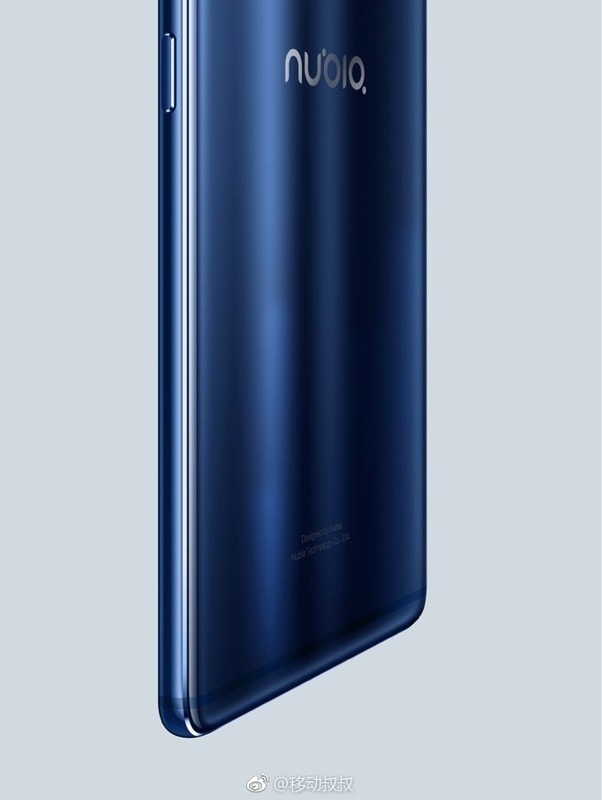 The renders have leaked in Glossy blue color that is very much similar to that of the Xiaomi Mi6 and Honor 8. Looking at the images above, the phone has a full metal body with glass on the front as well as on the back side. The 5.5-inch Quad-HD display of the phone has no bezels at all as it is slightly curved on the sides. The images indicate that the phone probably features 2.5D curved glass. There is rear-facing fingerprint scanner and the traditional round capacitive button on the front. The images don’t reveal the dual camera setup and how is its design so we cannot say anything about that. The speaker grills are on the bottom side along with the USB Type-C Port. There is no headphone jack on the bottom side so either it is on the top or there is no headphone jack on the phone. The volume rockers and power button are on the right side with the SIM card tray on the left. Talking about the specifications that have leaked previously, the phone features a Snapdragon 835 processor with Adreno 540GPU and 6/8GB of RAM. The phone is IP67 Dust and Water resistant as revealed via the video that was spotted yesterday. What are your views about the design? Do let us know via the comments section.